Harehope Quarry > Uncategorized > Digital connections. One of the things we like to encourage at Harehope is engagement with the arts. Over the years we have built up an archive of arts projects from painting and printmaking to animation and digital arts. Last week one of our co-op members was able to reconnect with a previous colleague and Harehope collaborator Jamie Allen. A former lecturer, artist and researcher at Newcastle University (now based in Basel, Switzerland). Jamie was exhibiting at the AND Festival (of new cinema, digital culture and art) which took place 21st to 24th September and needing help from Harehope. There’s a geological connection too, as the festival is taking place in the High Peak of Derbyshire with exhibits being displayed in the show caves of Castleton; carboniferous limestone just like Harehope. 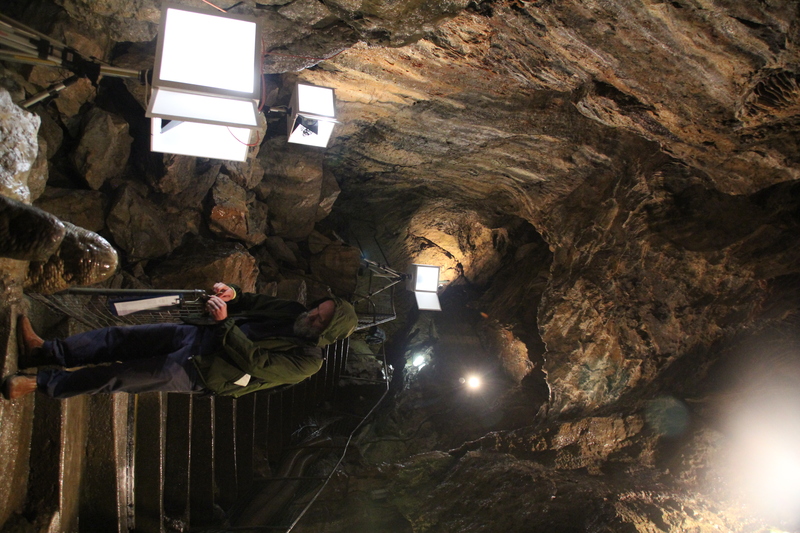 Jamie’s work connects with and sonifies the telluric currents (we had to look it up too) and is installed in Treak Cliff Cavern along with works from Germany, Holland, UK and USA . Below are links to a video of some workshops with young people which we ran back in 2011 in association with Culture Lab at the university and the AND Festival. 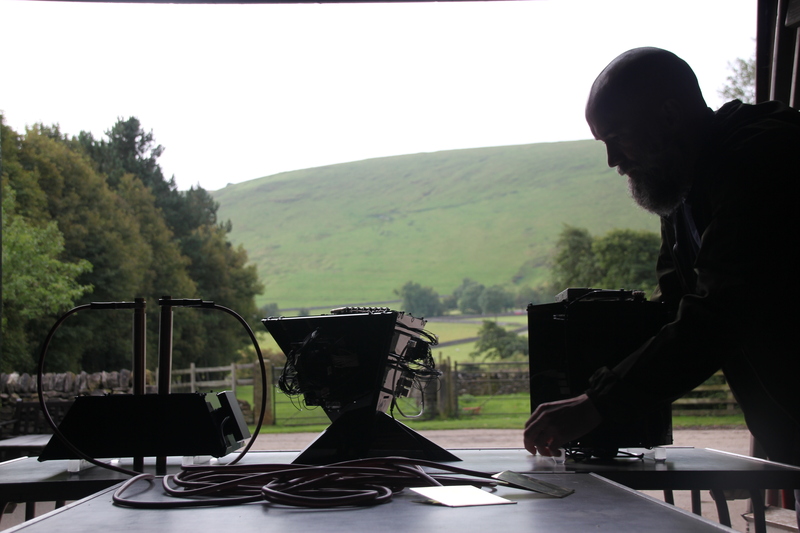 Putting the devices together in the workshop of Dunscar Farm.